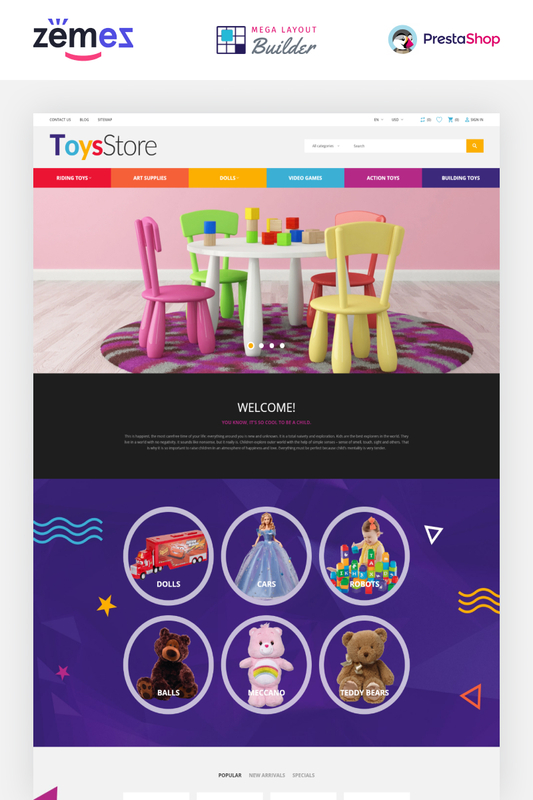 Toys Store Theme from PrestaShop is a great solution if you want to create an online store for selling children toys of any kind. Created by professional designers the template has a fresh look and a load of smart features that could increase your store potential significantly. Moreover, eCommerce functionality is compatible with multiple currencies and languages. Buying this theme you'll get everything you need to succeed in online selling.